The Senoia Area Historical Society Museum (Senoia History Museum) is far more than a collection of the usual artifacts and drab placards. This museum is where Senoia history comes alive on the lips of administrators and visitors alike. 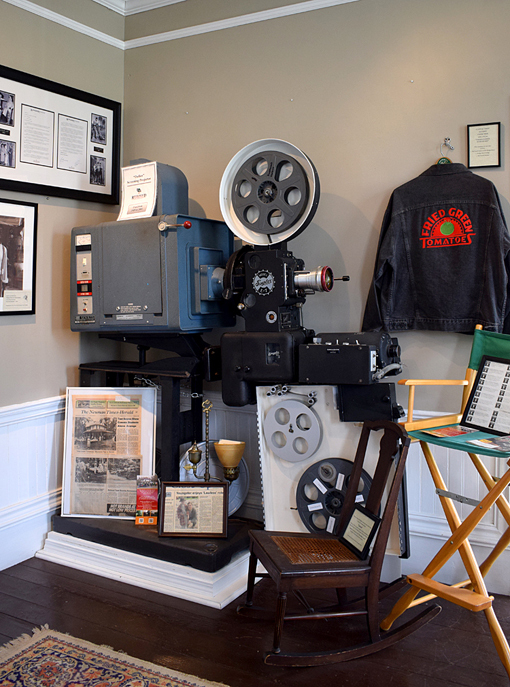 The Senoia History Museum is all about its wonderful, lively stories! And they're offered with a generous helping of Southern Hospitality. 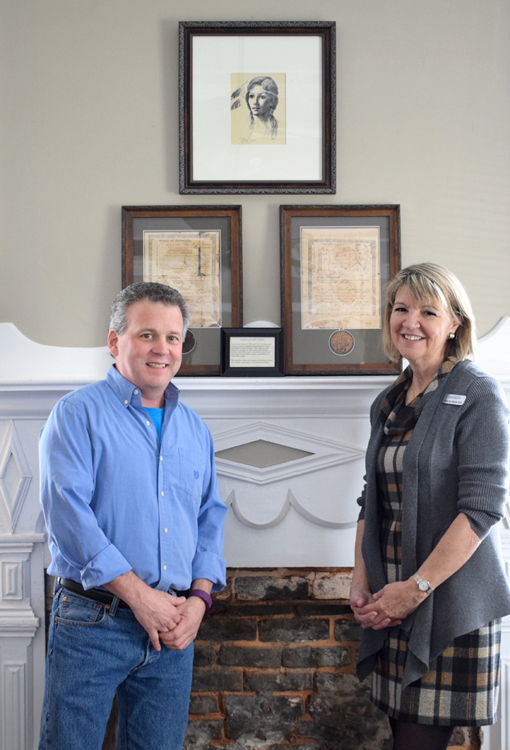 Founder, Charter Member, and Executive Director of the Senoia Area Historical Society Museum, Maureen Schuyler graciously made time to give me an interview about the museum and to share some of its stories. Museum President Doug Kolbenschlag joined us for the exciting, engaging conversation. Already a fan of the museum from a previous visit, meeting and talking with Maureen reinforced what I'd suspected...that the Senoia History Museum is a delightfully special destination, one I'll visit again and again. They've grown exponentially since opening their doors in 2010 and are very much engaged with their local community. wanderlust ATLANTA: First and foremost, how does one pronounce Senoia? Maureen: The only correct answer is anyway you’d like. Longtime residents drop the “a” and pronounce it Suh-noy´. Many county residents and some locals pronounce it Suh-no´-ah, while most visitors pronounce it Suh-noy´-a. Actually we don’t know of any other Senoia in the United States so any way you pronounce it, we’re pretty sure you’re referring to our hometown. I stick with Suh-noy´; it’s hard to beat old school. As long-time resident Jane Hutchinson likes to say, “It’s Senoia ~ rhymes with 'boy'”. 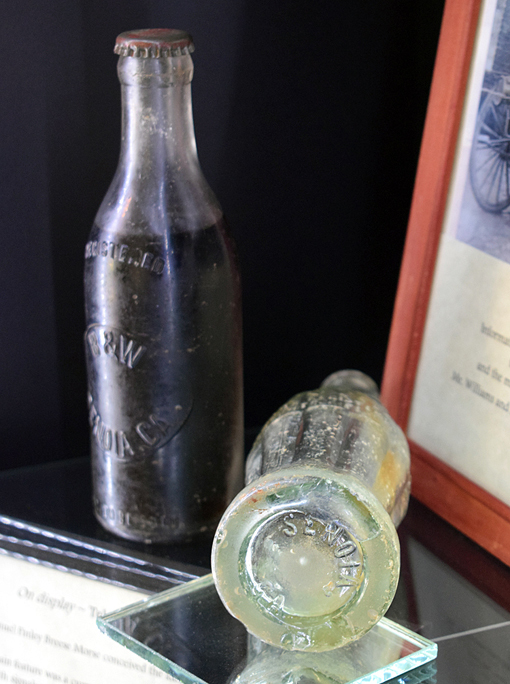 for a few decades had city names embossed on the bottom of the bottles. wanderlust ATLANTA: Please share with us a little bit about how the museum came to be and how far reaching its collections are. Is there a particular focus? Maureen: It was always the goal of the charter members of the society to have a permanent location for the collection, preservation and exhibition of Senoia's historical artifacts. To that end, in 1990 the society purchased the historic Carmichael home at 6 Couch Street, which was in disrepair, and spent years restoring it. 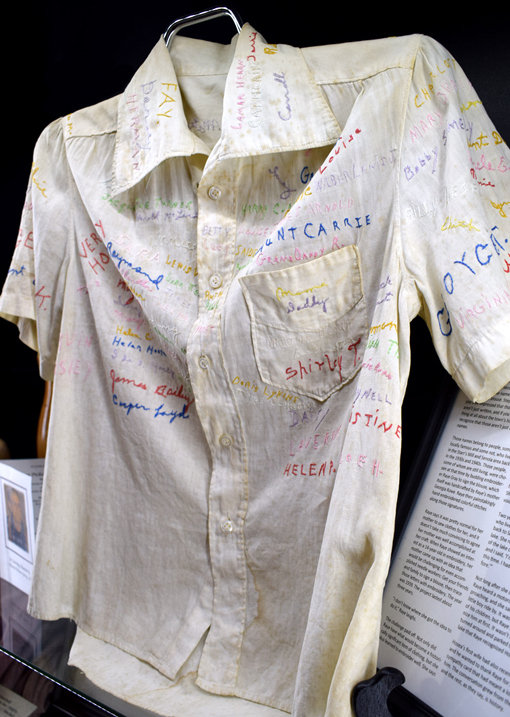 In 2010, answering the call to establish a proper, functioning history museum, Maureen Schuyler with the guidance of charter member Nancy Roy and a small committee, researched the necessary steps for organization and operation. The museum opened July 2010 and continues to be open every Friday and Saturday from 1:00pm to 4:00pm. 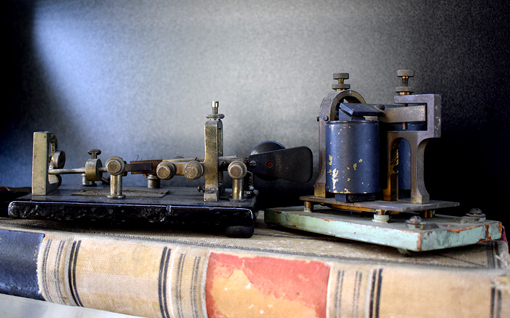 Our mission is to preserve and promote Senoia area's history and all of our artifacts reflect just that ~ the Senoia area. House in Senoia's Historic District. The house was built by J.A. wanderlust ATLANTA: What's the most significant/important artifact in the collection? Maureen: The 1827 framed land lottery deeds with leather State seals document the beginning of our heritage story and open up a dialog that can reach many aspects of our museum ~ our Indian presence, the land lottery story itself, and how the area grew from that time on. wanderlust ATLANTA: What artifact/fact/collection has the strongest Wow! factor? wanderlust ATLANTA: What's the most unusual/fascinating/weird artifact in the museum? Maureen: What seems to be a lowly 12-inch ruler has one of the best stories we tell in the museum. 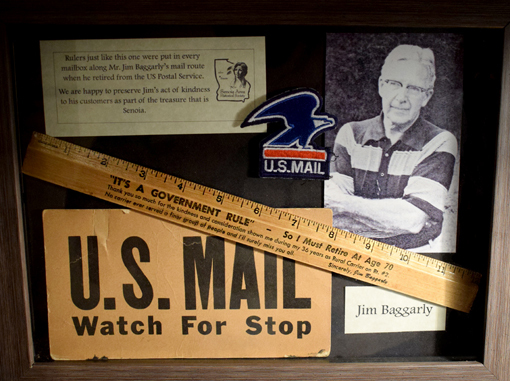 Mail carrier Jim Baggarly used the inscribed ruler, and many more, to thank the people along his route when he retired. The inscription (have I tempted you to come and read it for yourself?) speaks to the character of Mr Baggarly - a sweet story of a direct descendant of one of the town’s founding fathers, Rev. Warren Baggarly. The best part of the telling is when someone who has lived here since the 1970s visits and tells us they still have their ruler! wanderlust ATLANTA: Who are the most fascinating people represented in the museum, with artifacts on display? Who is that person/persons working behind the scenes? Maureen: In a move that changed the destiny of Senoia, Frank Hollberg was responsible for the Atlanta-Birmingham-Coast (ABC) Railroad coming through and stopping in Senoia. 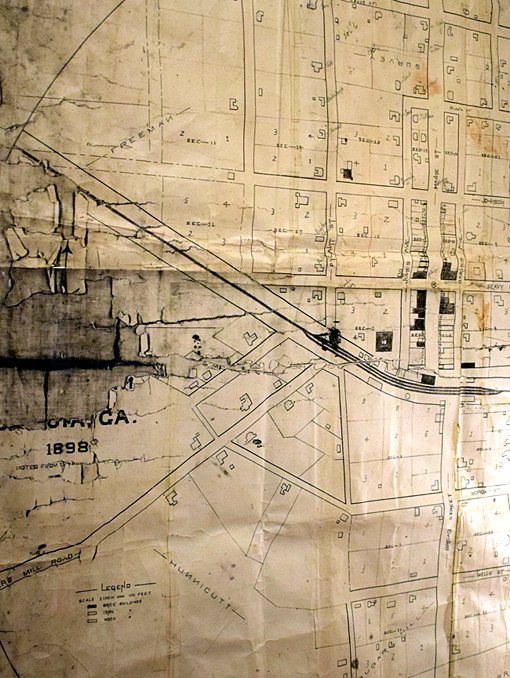 When he learned that the ABC Railroad was planned for this area with a depot in neighboring Fayetteville, he set on a campaign to change the destination to Senoia, changing the very face and fabric of the town. At that time, Senoia had no paved roads and he realized, correctly, that a depot would make Senoia prosperous. Behind the scenes, throughout our history, would have to be Princess Senoia. Senoyah Heneha, mother of Chief William McIntosh and member of the Wind Clan of the Lower Creeks, is the namesake of our town. In the 1980’s, the historical society commissioned a representative portrait of her by local artist Jo Ellen Macon and that image is our branding and our inspiration. Not many historical society members know that Kathryn Welden has been a benefactor since the first time she visited the museum in 2011. Ms. Welden grew up in Senoia, now lives in North Atlanta, and still has family living in town. Her financial assistance and her enthusiastic support has helped us move forward in so many ways. wanderlust ATLANTA: What's been the most challenging episode/struggle/event in the museum's history? Maureen: Because we are located a few blocks from downtown, we struggle with community and visitor awareness. The Senoia Welcome Center certainly promotes us, we receive press coverage for all our events, we have a Facebook page and a website, but we still hear over and over, “We had no idea you were even here." wanderlust ATLANTA: What makes the Senoia Area Historical Society Museum a MUST-SEE for visitors and locals alike? Particularly, why should Atlantans make the drive to visit the museum? Maureen: I like to think of Senoia as a small town with a lot of history. Our long-time residents help us create the history, our new residents can learn all they need to know about their new hometown, and visitors can experience the rich heritage of one of Georgia’s most charming cities. 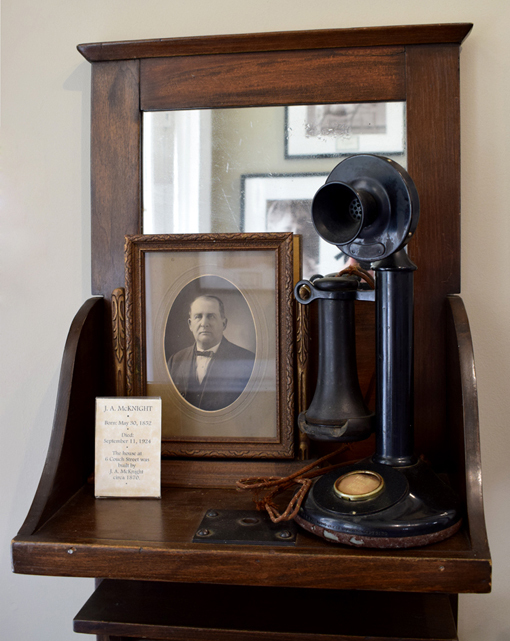 Our town has lovely shops and excellent restaurants, but if you don’t visit the Senoia Area Historical Society Museum, you’ve missed the story of Senoia – that’s the special part. wanderlust ATLANTA: What was Senoia pre-establishment of Georgia? What Indian tribe lived here? Are they represented in the museum? Maureen: We have a definite presence of Lower Creek Indian history, most documentation supplied by Chief Dode McIntosh, a direct descendant of Chief William McIntosh, one of the chiefs who signed the Treaty of Indian Springs (1825) ceding the land. Chief Dode was the honored guest at a number of events hosted by the historical society in the 1990s. 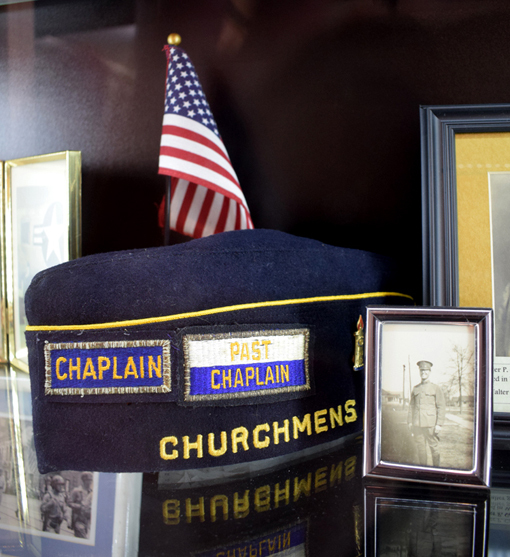 [PHOTO: World War I Chaplain hat that belonged to Senoia native Walter P.
wanderlust ATLANTA: For visitors who are as impressed as I am with the museum, what can they do to support the efforts of the Senoia Area Historical Society Museum? Maureen: Membership is an annual vote of support and a way to stay in touch with our progress, and we have various levels of commitment. Donations can always be made in-person, to our post office box, or on-line from our website. 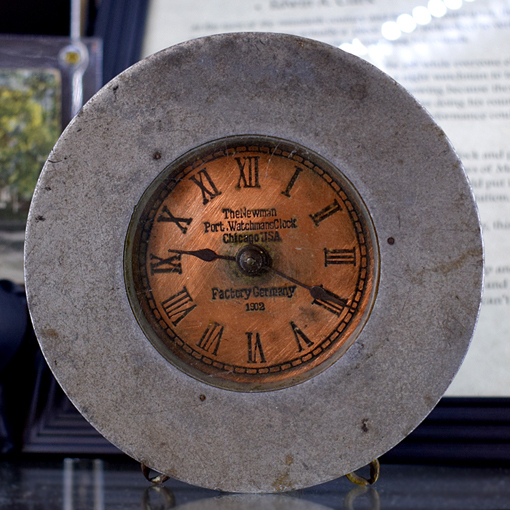 We are always interested in acquiring Senoia-area historical artifacts. And of course, just sharing the fact with families and friends that we are here in town, we offer an authentic experience in a historical setting, and we are the friendliest docents you could ever find...that would definitely help us gain awareness. I originally visited the museum last year, when Dub Pearman was serving as President. His remarkable knowledge of Senoia and the museum, and in particular his hospitality, were significant contributors to me wanting to make a return visit. When I returned recently, Maureen showed me the same hospitality and I may have never before seen such enthusiasm for a museum as that which is self-evident in Maureen for the Senoia Area Historical Society Museum. We had such a lovely visit. I hope you too have the opportunity to have her as our tour guide when you visit. On my second visit to Senoia, again for a Big Zombie Tour with Atlanta Movie Tours, I enjoyed a post-tour lunch at Nic and Norman's—owned by Norman Reedus (Daryl Dixon on The Walking Dead) and Greg Nicotero (TWD Executive Producer, Director, Special Effects)—and then went exploring. I stopped into the Senoia Welcome Center and they, who were very friendly, told me about the Senoia Area Historical Society Museum. I immediately walked there and the rest is history. On this most recent visit, I drove to Senoia just to go to the museum and was there for a splendid two hours talking with Maureen and further exploring the museum. Of course, afterward, I went into downtown and enjoyed some ice cream, shopping, and people watching before heading back to Atlanta. The Senoia Area Historical Society Museum is a mere two blocks from the center of Historic Downtown Senoia at 6 Couch Street, Senoia, GA 30276, easily walkable, but they do have a parking area. They're open every Friday and Saturday 1:00pm to 4:00pm. Ask for a guided tour! 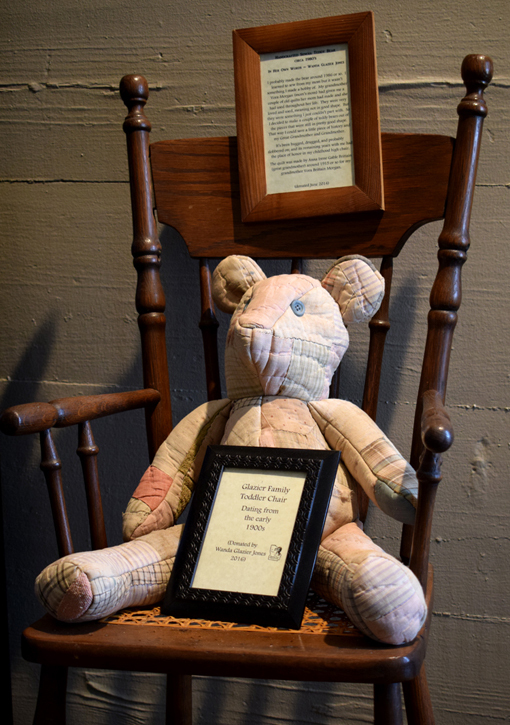 Now, go, enjoy some wonderful storytelling and Southern Hospitality at the Senoia History Museum!